On occasion that which we care for trolls us mercilessly (if you're the parent to a toddler you live that lesson). Baseball trolled Philadelphia baseball and its fandom hard last night, and all we can do is chuckle and tip our caps. Folks online have been lamenting (rightly or wrongly, I was leaning the former) for weeks Charlie Manuel's refusal to use Jonathan Papelbon in non-save situations. Some went so far as to say that this has already cost the Phillies upwards of five (!) road losses. 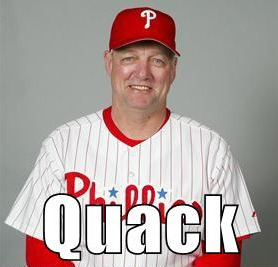 I cannot necessarily agree with a literal acceptance of that statement, mostly on account of the notion that our offense would have still been a heap of duck poop even after Pap concluded his (hypothetically) scoreless inning. Anyway, last night Papelbon came singing his way into a non-save situation last night and--naturally--got Valdespun. You can get mad, but what's the point? That was pretty hilarious. 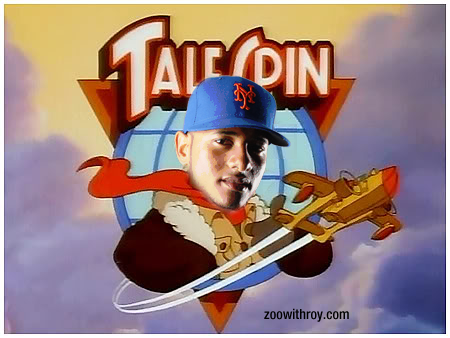 Kudos to Keith Law for the following. This exchange will be featured in a paper that I am presently working on about human interactions. Much of that will be drawn upon in a subsequent work detailing the futility of intent.